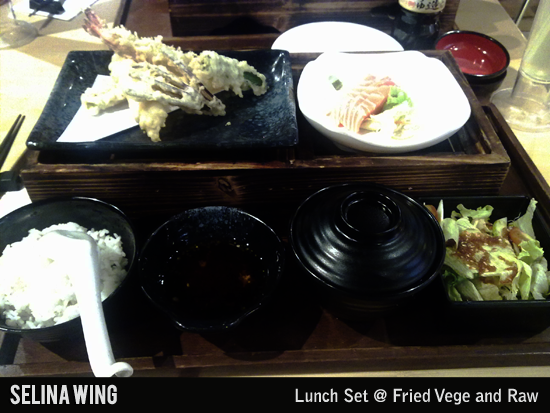 After watching the movie, my friend and I got hungry and decided to try the Japanese restaurant in Mid Valley. 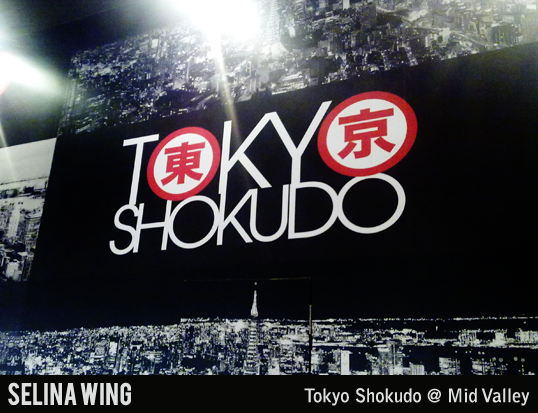 I found out about new "Tokyo Shokudo" restaurant opened in Mid Valley Megamall, Unit G-098, Ground Floor. 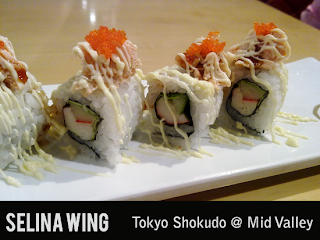 If I remembered about old restaurant named "Yoshino Ramen Shokudo" on last year before this, but I never tried it. 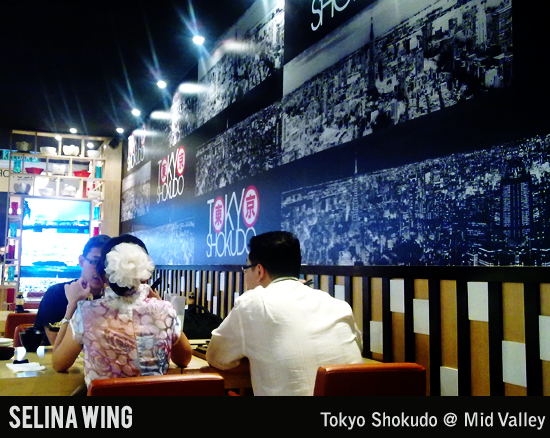 We checked on the menu of Tokyo Shokudo, there are getting the lunch set menu, then we try it only. 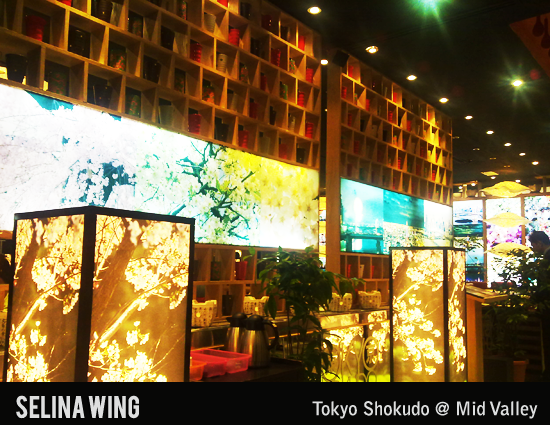 Now, they make the japanese style of restaurant with the beautiful decoration, make you will feel like in Tokyo City. 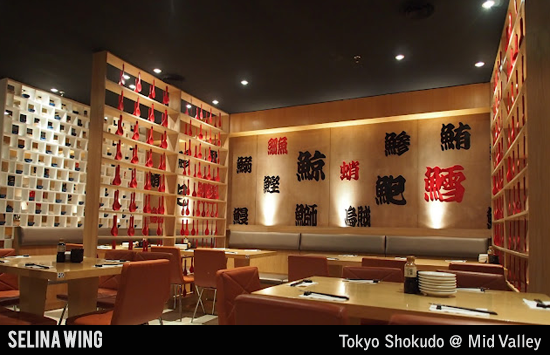 Many spoons, bowls, cups, and lamps used as the attraction of decoration in this restaurant! 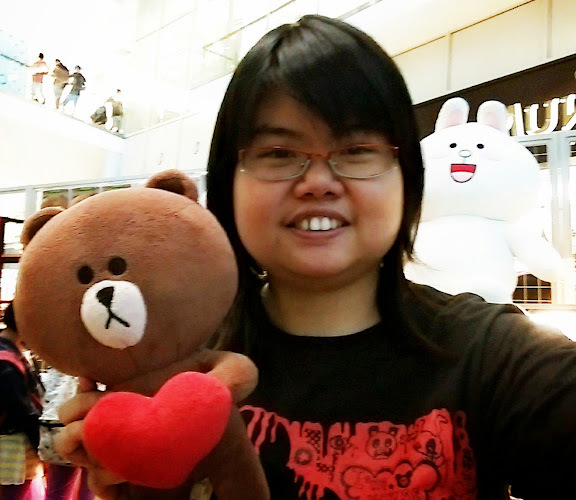 It is simple, just like 3 color; black, white, and red only. 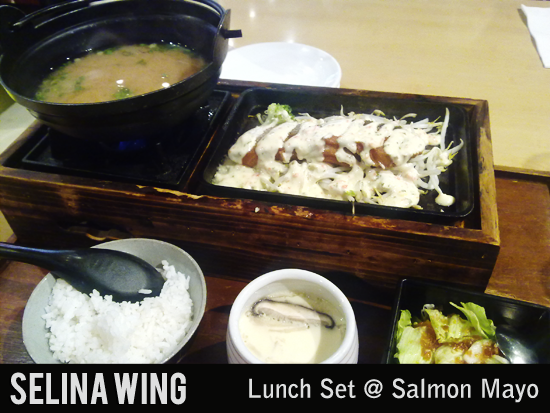 We ordered two lunch sets, and Ice Lemon Tea drinks only. 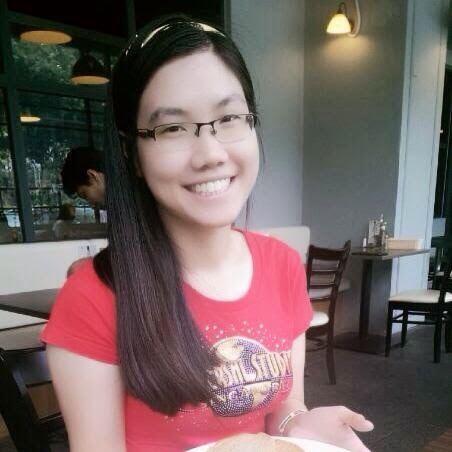 I am surisped to see a big lunch set then I enjoyed to eat a lot until I am very full! It is very delicious and taste so better! We ordered a sushi, two persons can share. It is delicious too. Sure, sushi are very expensive. I love the Japanese sushi because long time I don't eat it. My friend and I recommenced the Tokyo Shokudo to you all if you are Deaf Japanese fan! i never try the sushi but the ramen is just so so only.